Cummins Power Generation Diesel Generators provide homeowners with peace of mind when the power goes out. Hooked up to your home's electrical system, they'll get you back up and running without a lot of noise. Whether it's a storm, a substation invader, or a homeland security incident, it is a relief to know that your power will kick on within seconds, barely enough time to reset your clocks. Unlike portable generators that power only a portion of your home's needs, stationary generators standby to power 100 percent of your home--preferred by larger homeowners for backup and emergency use since they power up and run unattended. An added bonus is that the gas tank doesn't need to be refilled every 5 or so hours. Cummins Diesel Generators' steel 50 to 100 gallon tanks will keep your home environment livable for nearly two days before needing refueling by your supplier. 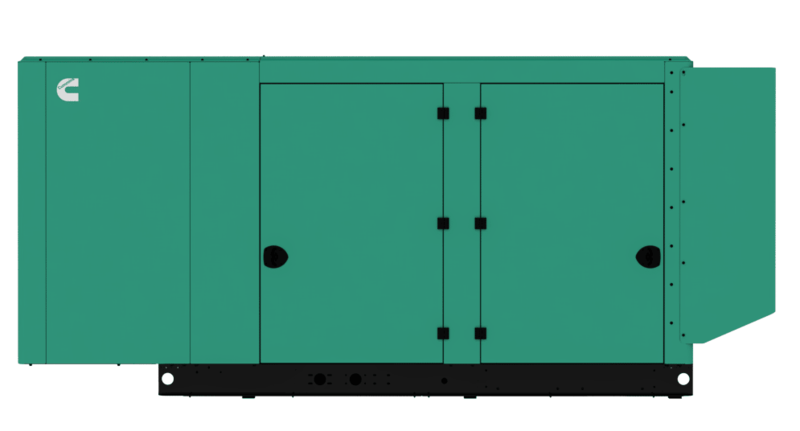 Sheltered in its own enclosure, a Cummins Power Generation Diesel Generatoris anchored to the ground and isn't subject to theft-like portable generators. It will be considered an addition to your home so a permit is required before installation. Give us a call at Colorado Standby. Our experienced, certified staff will help you customize the right generator for you.